Crescent Industries is recognized by the U.S Department of the State as an ITAR-Registered and Manufacturer and has decades of experience in injection molding and mold-building for the Military & Defense Industry. 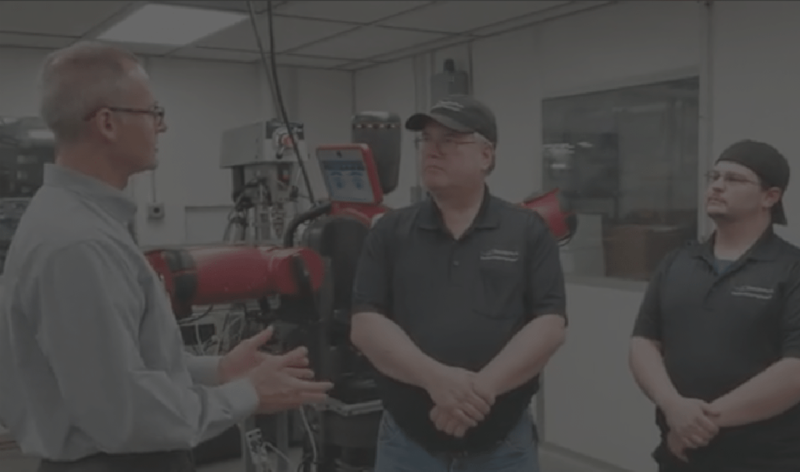 We utilize The Scientific Approach to Injection Molding and have designed a state-of-the-art, highly-automated manufacturing facility in order to become a single-source solution for our customers. Therefore, we also offer ISO 7 or ISO 8 clean-rooms for assembly and packaging services to complete your project while adhering to the most critical quality standards that may be required for your specific product or components applications. Meeting Military Specifications requirements consists of many things, but it all begins with precision mold design and up-front engineering & development. Our in-house tooling capabilities combined with our engineering expertise gives our partners the ability to work closely with an experienced engineering team to help develop critical components for “mission” critical applications. We understand that Durability, Reliability, and Repeatability are paramount for Military & Defense Applications! 1. Durability: These components come in contact with extreme conditions and must be designed to withstand harsh environments and demanding applications while delivering optimal performance. Our team can assist with proper material selection along with enhancing property characteristics. 2. Reliability: It is of the utmost importance to be able to trust that these components will function without hesitation. This requires the knowledge of an experienced ITAR-Certified Molder in order to work with your engineering team to determine the ideal materials and processes required for your specific application(s). 3. Repeatability: We have developed robust molding processes that grant us full control of the injection molding process to ensure quality consistency, component uniformity, and process repeatability.